Immersive shopping experiences online and in-store – where consumers are engaged and entertained – are the expectation, no longer reserved for flagships in major cities. The behind-the-scenes hero of customer experience endeavors today is product content. It’s critical to informing and guiding shoppers to the product characteristics they are seeking. In the 2016-2017 B2B Digital Trends report from Econsultancy and Adobe, respondents indicated “optimizing the customer experience” as the business priority for which they were most excited in 2016 and the next five years. These same respondents said that for every $1 spent on customer experience advancements, the company saw a $3 benefit return. In the next wave of retail innovations, consumer needs will come first. In the IDC’s FutureScapes analysis, their first prediction highlights digital transformation initiatives and the expectation that 50% of the world’s most global companies believe that by 2020 most of their business will be reliant on breakthrough customer experiences. Wasting no time, brands and retailers are already attempting to attract and maintain consumers with both the best products, and the best experiences. In Bed, Bath, and Beyond’s newer stores, consumers have access to digital shopping tools all hinged on product content, including interactive catalogs with digital product advisors and scanners that display product images, pricing information, product details, and customer reviews. 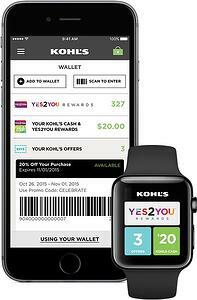 In conjunction with Kohl’s mobile app, consumers can utilize the large digital kiosk located in-store to navigate Kohl’s digital endless aisles. By searching keywords found in the product content, consumers use the kiosks to locate items in-store or online, complete transactions, and select their at-home delivery or pick-up in-store fulfillment method. While consumers are physically in the store shopping, the Barneys New York beacon technology beams targeted editorial content, videos, lookbooks, and interviews with designers via consumers’ mobile apps. Another function of the app is using product content and inventory data to match consumers with relevant clothing, accessory, and shoe recommendations amidst in-store shopping. Along with a 10-second drop-off process for rented dresses and notified-by-text fitting room availability, the online-originated Rent the Runway has delved into brick and mortar shopping. Upon entering the store, shoppers check-in using tablet kiosks and indicate the type of look desired by selecting key attributes and taste preferences. And if consumers prefer to stay out of the clothing racks entirely, RTR’s “Style Studio” uses a personal stylist-like computer algorithm to match products to the consumer. As brands and retailers become increasingly reliant on differentiating based on experience, your starting place is to ensure you have the product content needed to engage shoppers no matter where they are. You can prepare for the next set of innovations by focusing on how to leverage new technologies to make shopping convenient and fun for your customers.